Abigail looked unhappily at her mother. She knew that she wasn’t a bad girl. But there was no doubt that her mother had a lot to say and hardly any of it made her sound like a good girl who had just made a teensy little mistake. One of those scenes that is every child’s worst nightmare. So Abigail has blown it. If you’ve been in the Orthodox Church long enough, you have probably heard the precise breakdown of how sin occurs. 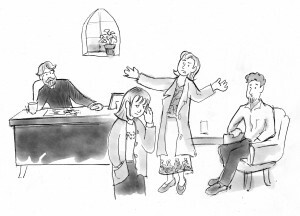 And we know that it begins with temptation, which in Abigail’s case would have been the impulse to make up songs in church when she should have been paying attention. At the point we are tempted, we’re not culpable; we haven’t done anything wrong. All human beings are tempted — even Christ was tempted. But once you engage the temptation, you have started going down the wrong road. If you begin to engage with the temptation, you go further, and when you commit it — for example, if you not only make up a song in church, but sing it and disrupt an otherwise orderly procession — you’re in trouble whether you get caught or not. 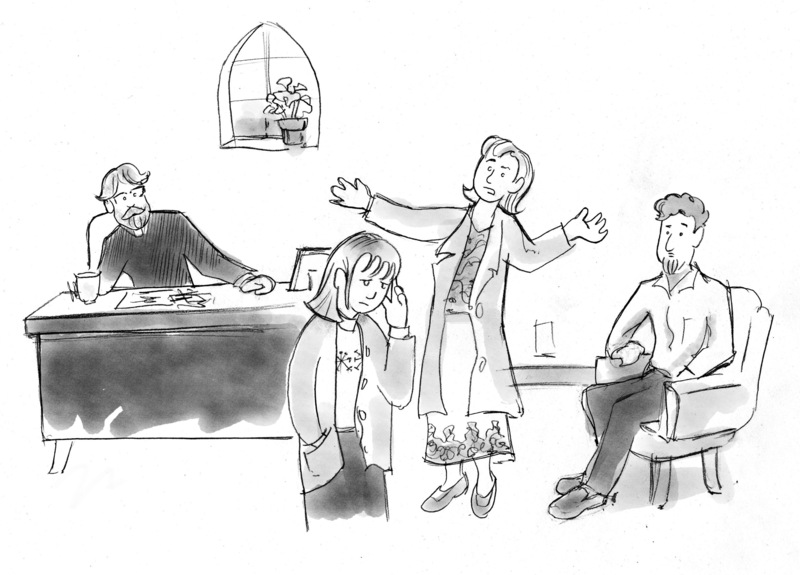 Abigail, of course, got caught, and she ends up in the priest’s office with her parents having to try to explain her actions. But at that point, she has a problem: she still doesn’t really think she did anything that was all that wrong. Sure, there were some nearly-disastrous consequences to her actions, but those actions were more an absence of good judgment than the presence of bad judgment. At least that’s the way that she sees it. I’m having fun with Abigail’s ten-year-old sensibilities, but I can’t help noticing that we grown-ups still act like this sometimes. The ways that we can split hairs when our self-esteem is on the line are really rather amazing. I want to give myself the benefit of the doubt as much as I can, and I am shocked when others point out that my supposed accidents aren’t really that accidental. I may be utterly surprised by a show of bad temper on one day or incidents of pettiness or laziness on other days, but apparently, those who know me even casually may be able to spot a pattern. “Sin” is such a rough word, when you have this mindset. And I have it in spades. I feel as though my worst decisions are really more like mistakes than actual sins. Surely I’m just more clumsy or careless than I am malevolent. And so I start off every Lent aggravated about my mistakes, but not really wanting to consider how much deeper the problem really is. Maybe Abigail and I have a lot in common?